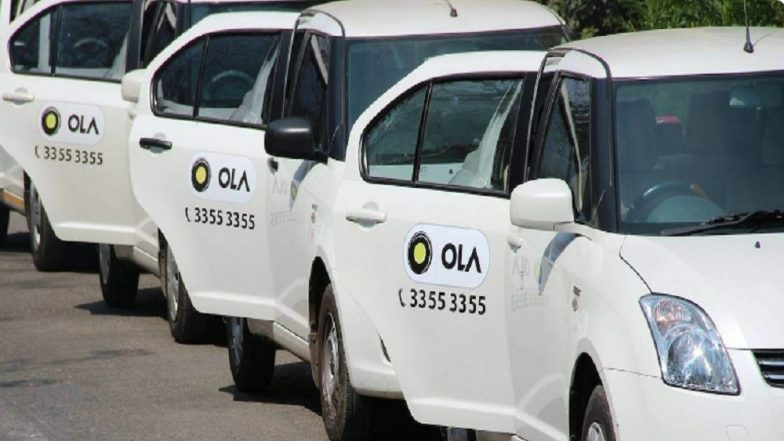 Bengaluru, March 25: Cab-hailing aggregator Ola said on Monday it will continue to address the challenges of mobility, a day after the Karnataka state government announced that it had revoked suspension of its operations. "We are glad that the issue stands resolved and we regret any inconvenience caused to our driver partners and passengers since Friday," said a statement issued by Ola. "We look forward to continue working with the state to help address the challenges of mobility. We are committed to creating and enhancing livelihood opportunities for millions of driver partners in the time to come. Ola Ban Lifted by Karnataka Govt, Two Days After Revoking Cab Aggregator's License For 6 Months. "Karnataka's Minister for Social Justice Priyank Kharge said on Sunday: "Ola Cabs will run its business as usual from today. However, there is an urgent need for policies to catch up with new technologies. The industries too should work closer with the government to help evolve policies for innovations. "App-based Ola had reached out to Kharge on Friday after its licence was suspended for six months, a decision which was reportedly taken by the state transport department without consulting the IT department or the state government. The transport department said that the company violated existing provisions and operated two-wheeler taxis in Bengaluru. It cracked down on shuttle services, bike taxis and even car-pooling solutions.Ola, run by ANI Technologies, has often faced conflicts between archaic regulations and solutions offered through technology.